Supply Chain | LDT CONSULTING, INC.
Infowave acquired its product offering with the purchase of Telispark from Deloitte Consulting in 2004. Infowave Software developed software that enabled employees to access corporate networks using wireless devices such as laptops, personal digital assistants, and mobile phones. Its Echo by Infowave software suite was composed of configurable modules (COTS) used in field service, supply chain, and asset management operations for reliable wireless transmission of data using a PDA device or Notebook (i.e. Panasonic Toughbook) and facilitated more efficient field force operations and productivity. 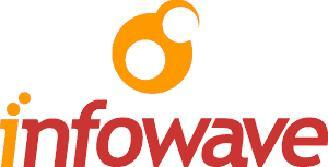 Infowave targeted the utility, oil and gas, government, telecom, and other vertically integrated industries. The system architecture included java J2EE platform utilizing middleware (i.e. TIBCO/WBISF) that integrated with SAP, PeopleSoft, and Passport ERP(s), including Oracle databases. Infowave Software partnered with IBM USA to utilize their IBM® WebSphere® Business Integration Server Foundation (WBISF) to help link business processes with software applications. As the Professional Services, Business Analyst, Lezlie Tanasiuk was responsible for requirements analysis, preparation of the functional specification (Solution Design Document) including wireframe mock-ups for Chevron Pipeline and Shell Oil work order management and SCADA solutions.